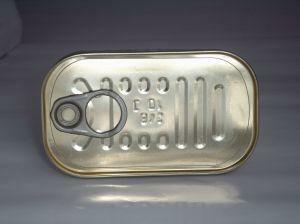 Vintage food labels and containers, such as historic sardine cans, are popular collectible items. Collecting antique food cans and labels became a widespread hobby in the 1960s, and is still popular today. Accumulating these items can be fun and affordable for anyone interested in vintage art and the history of the seafood processing industry. Many can and label collectors focus on a specific type of product that holds particular meaning or historical significance for them. Those who have regional or family ties to the early fisheries industry often find collecting historic sardine cans and labels to be rewarding and interesting. For example, the California-based website SardineKing.com prides itself in being home to the Internet's largest collection of vintage sardine can labels specific to California. Visit Sardine King's online gallery to view an impressive collection of sardine can labels that represent the historic California canning industry. The site primarily features labels used by the Old Cannery Row facilities in Monterey, California during the 1920s and 1940s. You will even see a few squid and mackerel labels included with those from sardine cans. SardineKing.com's owners are interested in buying more vintage labels to add to the gallery, so visit the site if you have any California cannery labels you would like to sell. The Cannery Row Foundation also has an impressive online photo gallery dedicated to showcasing and preserving the history of California's Cannery Row and the sardine cans that represent the region's economic foundation. The fisheries industry also played an important role in the early development of the New England economy. You can view an image of an antique photograph by T. W. Smillie that depicts fisheries workers in Eastport, Maine making historic sardine cans on the NOAA History site. You can also see what the cannery looked like from the outside at their website as well. Country Joe's Collectible Stuff carries an array of all types of collectible advertisements and vintage paper items, including an affordable selection of labels from vintage sardine cans. PaperStuff.com carries a nice selection of seafood can labels, including those from sardine containers as well as salmon, anchovies, oysters, and squid. The Label Man carries a comprehensive line of vintage food product labels, including those from sardine cans and other seafood products such as clams, oysters, salmon, squid, and more. The site owner is interested purchasing can labels, crate labels, and old magazines. eBay can be an excellent resource for locating collectible sardine cans. Just remember to be patient and check back frequently to make sure that you don't miss a chance to bid on great items to add to your collection. Check the yellow pages for antique stores and flea markets in your local community. Even if these establishments don't have what you are looking for the first time you visit, take the time to get to know the store owners and exhibitors who specialize in kitchenware and nostalgia items. Let them know what types of items you want to collect. They will likely be able to refer you to another vendor or offer to let you know when such items become available. If you enjoy collecting vintage sardine cans, or if you are searching for a unique gift for someone who does, be sure to check out Amazon's sardine can pendant. This inventive trinket is sure to bring a smile to the face of anyone who appreciates the beauty or memories of sardine cans. Your sardine can and label collection isn't something that you have to hide away in a box or let gather dust in a closet. Decorative food containers and labels of all types can be incorporated into many different styles of home décor. Framed sardine can labels can make an excellent addition to the wall art in your kitchen or dining room. Vintage sardine cans are great for filling in display areas on kitchen shelving units or cupboards. No matter how you choose to showcase your sardine cans and labels, with a little time and patience you'll be able to amass an impressive collection that you can enjoy for many years to come.